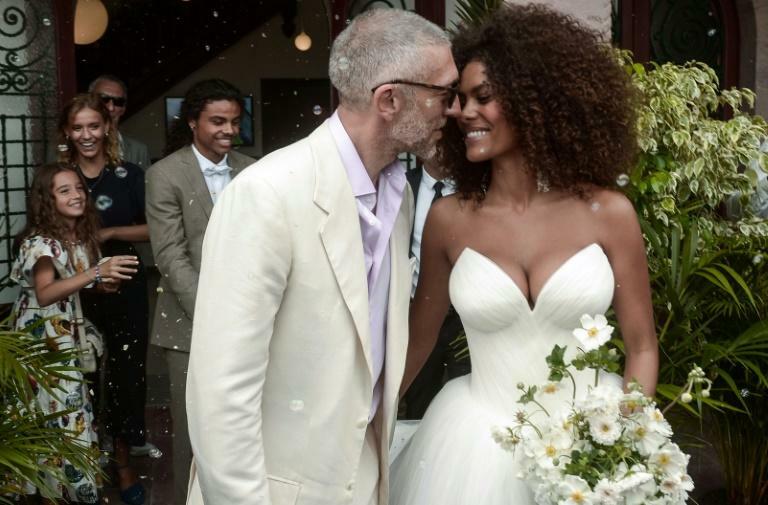 Hollywood actor Vincent Cassel, 51, married 21-year-old model Tina Kunakey in a low-key ceremony in his native France on Friday. The actor, who appeared in "Black Swan" and two of the "Ocean's" series of heist films, shot to fame in the mid-1990s as the troubled young man from the Parisian suburbs in the critically acclaimed "La Haine". Cassel, wearing dark sunglasses, a cream jacket and open-necked pink shirt, tied the knot with Kunakey in front of around 100 guests in Bidart, a small coastal village near Biarritz in southwestern France. His bride wore a white tulle gown with strapless bodice, full skirt and long train, arriving for the ceremony in a black Bentley.